From drones to 3D printers to augmented reality, there’s no dearth of technologies impacting the way traditional industries function, and even though most of these may sound as fads or luxuries, there’s no denying that the world at large (including the MENA region) is closer than it has ever been to implementing such solutions. However, if you take the construction sector -pretty much the lifeline of the GCC economy- it’d be safe to say that it is perhaps quite behind its peers when it comes to embracing and deploying smart technologies, with the industry not being very welcoming of new digital solutions that often need upfront investment, though their benefits are spread out long-term. 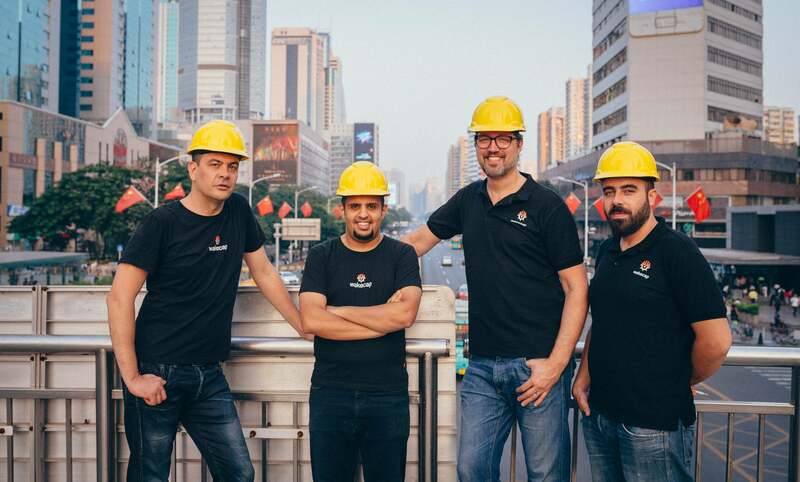 “We noticed that construction is still running on the same foundations as it was a 100 years ago, and it’s getting worse,” says Hassan Albalawi, founder and CEO of WakeCap Technologies, explaining the origin of his Dubai-based construction tech startup. “We have a global productivity problem on our hands, and much of it is due to the slow, outdated information sharing, and the reliance on inefficient manual processes on site.” WakeCap believes that labor is the largest (and also the least understood) component in the construction world, and the enterprise aims to connect and streamline tools, equipment, and workers at the job site. Members of the WakeCap team. Image credit: WakeCap. As for the impact that the enterprise hopes to have on the industry as a whole, the team is keen on altering the status quo of the state of productivity in the sector. 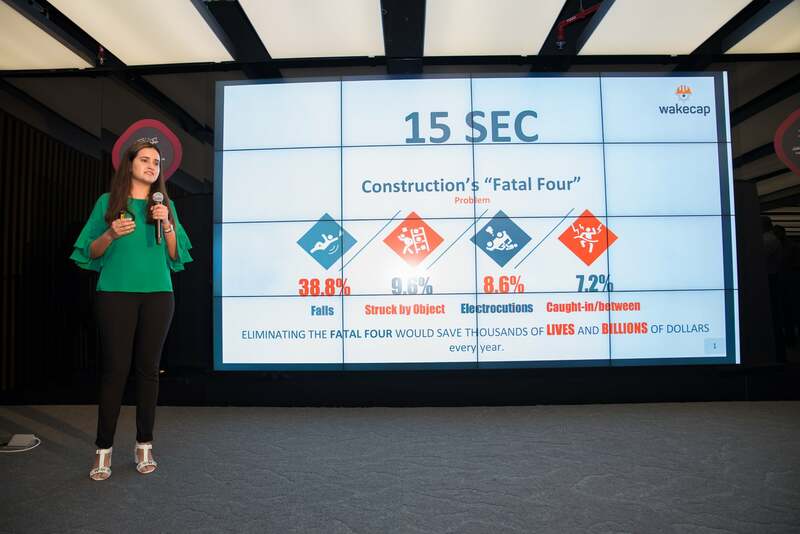 “Construction’s poor productivity leads to 98% of the construction projects incurring cost overruns or delays, due to the lack of connectivity, slow information sharing, and a lack of automation on site,” notes Albalawi. Further, making the spaces more safer for workers is also on the top of the enterprise’s agenda. “Most accidents occur because a worker was not where he was supposed to be; moreover, according to a study conducted by Deloitte, workers are reluctant to wear an additional piece of equipment [to tackle safety],” notes the entrepreneur, explaining why they put in that additional effort in integrating their technology into workers’ helmets. 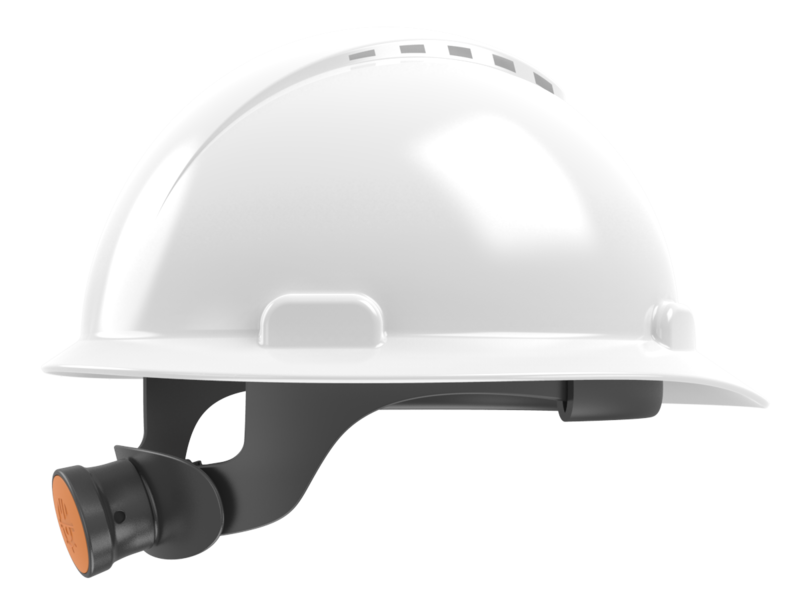 A look at the WakeCap construction helmet. Image credit: WakeCap. However, in terms of a measurable market, the entrepreneur admits that industrial IoT wearables in construction is an area that does not have a known or calculable size via publicly available data. “Using a bottom up approach of 542,000 construction workers and 30 million square meters of total project area in Dubai, we estimate the serviceable GCC market to reach a number of US$1.4 billion, that includes only Dubai, KSA, Oman, Kuwait, Bahrain, and others,” says the founder. WakeCap’s product and services are offered on a weekly, monthly or annually subscription basis. “We would charge a one-time fee for the helmets and then a subscription fee based on the number of workers, the construction site, and the desired features,” he adds. The startup’s objective to disrupt the convetional industry is also slowly but surely being recognized by global and regional players. An endorsement for the startup’s product first came from global entity HAX Accelerator, a seed stage program focused on hardware startups that selects startups for investment and offers onsite support and mentoring in Shenzhen, China. Besides honing their product during the program, WakeCap also received $175,000 in funding from HAX. “In seed funding, we have raised $300,000 from CCC, we have another commitment of $400,000 from other sources that is yet to be signed [at the time of writing],” says Albalawi. Further, the startup also managed to impress the who’s who of Dubai’s business community as it emerged the top winner of the third cycle of the Dubai Smartpreneur Competition, organized by Dubai Startup Hub, the entrepreneurship development arm of Dubai Chamber of Commerce and Industry. “It was an exhilarating experience for us,” says Ishita Sood, co-founder and COO, WakeCap, who was part of the team that showcased the product at the challenge. “There were more than 300 applicants for the competition, and we got shortlisted to top 50, and then top 10. We didn’t expect we would win.” She adds that the enterprise also benefited greatly from the resources provided throughout the competition, as well as the networking opportunities. “The team at the Dubai Startup Hub was really encouraging and helpful,” she notes. WakeCap team's victory at Dubai Smartpreneur Competition. Image credit: WakeCap. Even as fundraising remains a key issue for startups working on solutions across industries, Albalawi’s views on investor appetite for product/hardware startups such as theirs, comes as no surprise. “Investors in the MENA region are reluctant to back hardware startups, and that has been our biggest challenge yet,” he says. “With regards to this aspect, investors are mostly worried about the problems that frequently arise when mass producing hardware, which could ultimately cause a startup to fail.” But to allay any such concerns from the investors’ side, the team is also in talks with helmet manufacturers to manufacture and manage the supply chain of helmets. Another challenge that the startup foresees and is working to counter, is the reluctance on the part of construction companies to take a bet on new technologies. “One of our objectives for our pilot is to quantify labor productivity and safety, which we believe when shown how much a construction company can save by using our technology will help us penetrate the market,” says Albalawi. Finding the right people with the right background to expand the team is also something that the startup has its struggles with. As for the way ahead, WakeCap is focused on their pilot with CCC in the short-term in order to finalize the development of their product, and begin manufacturing the product. In the long-term, the company’s priority is to deploy their technology in the various construction projects across the MENA region, and also to expand to other industries such as oil and gas. “We are ambitious about the expansion of WakeCap, because the construction productivity crisis is a global issue,” Albalawi says. “Previous worksite technologies have failed, because they demanded time and attention for learning, using, and troubleshooting, thus affecting other work processes and eventually causing their rejection by field personnel.” Stating that WakeCap has taken all of these considerations into account, Albalawi makes a declaration that may well put the product and its benefits into context for you. “We aim to disrupt the construction industry, without disrupting the construction work,” says the entrepreneur. WakeCap co-founder Ishita Sood pitching at 1776 Challenge Cup. Image credit: WakeCap. What’s your take on MENA’s current entrepreneurship ecosystem?